I am often asked about what goes into the planning and designing a book cover from people that I come in contact with once they learn the kind of work I do. So I wrote this article for everyone and anyone interested in getting a behind the scenes look of what goes into my process when I design a book cover. To me, designing a book cover is a close partnership between the author and designer, and my main goal is to ensure the design I create is a true representation of the author’s story and vision. First, I seek to find out if the author has a concept in mind, or if he or she gives me creative license. When the author knows what they want, I design the concept they give me. Sometimes there might be too much going on in his or her vision, in this case I do provide feedback and offer suggestions with solutions that might lend themselves better. It is important to me that my client understand that I will create a design that will be the best marketing tool for their book. When the author doesn’t know what they want, I am given creative license to design a concept that I think best fit the story. 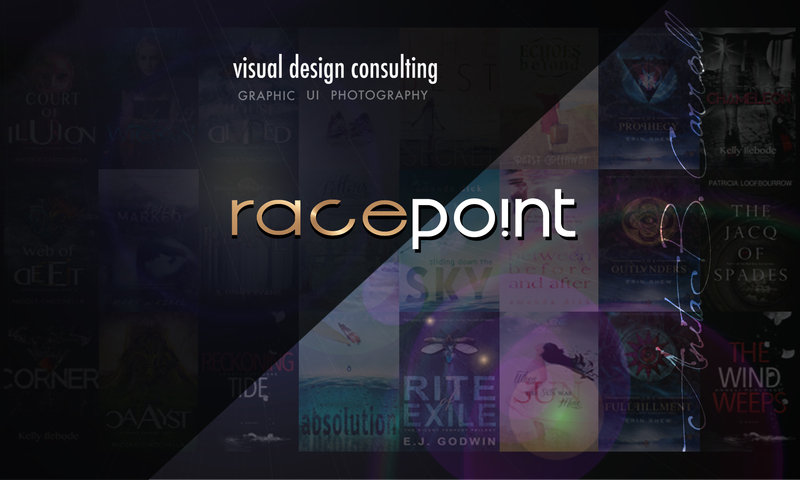 When the client gives me creative license, I always approach the project the same: I have to read the book, regardless of it being fiction or non-fiction. What I have found from experience is that a client may not always be able to articulate their vision so reading the story helps me better understand the type of story the author is telling and the mood/ambiance they’re going for. I am a visual reader, so when I read I visualize myself in the story and go wherever the story leads me, and then new questions for the client will develop. So, I keep my sketchbook close by and begin drawing concepts and make notes of things that I feel inspired by. I search for something that I feel an emotional connection with. I never know where my focus will end up, if it will be a specific moment or event, or a specific trait in the main character, or something that represents the whole story. I am a digital image manipulation designer and my design style is minimalistic. I tend to create clean, sophisticated designs with one simple focus, something that is a visual representation of the message, to help attract readers of that specific genre. Although, there are books that sometimes better lend themselves to a type based cover design, often seen in the non-fiction category, so it really depends on the story. Before I begin the actual design, I present what I have in mind, (unless the author tells me to just go for it) since I want to make sure we are on the same page and I really don’t want to focus my efforts on something they may not want on their cover. Once the concept is approved, I get to work and begin searching for specific photos from either my own professional original photo works, an online photo stock provider, or sometimes the author has a specific photo in mind. I also make a point of researching the author’s competition, especially when working with stock images, I want to avoid creating a cover with a similar image. Sometimes, the author is still writing the story as I am designing the cover. In this case I read the first few chapters and ask for the synopsis of the story, in addition to asking many questions. This is probably the most challenging way of designing a cover since there are often so many unknowns and by the time the story is completed, additional edits may be necessary. I usually end up creating multiple rough drafts, before I zero in on one mock up. The book I am currently working on now, just today I have created 4 versions for the same concept. So I let the design rest and sleep on it. Once I look at it again the next day, with a fresh set of eyes I see new things that I can improve. So working on a cover can take anything from one to two weeks, and is really a complex process that should not be rushed. Which is why I always urge authors to allow their designer ample time to create. If you think about it, the cover is not only a visual representation of your story, but it is also an advertisement and will be the most important tool used when marketing your book. So the design should be well thought out. If I had to summarize it, book cover design is designing for a specific emotion, depending on the story; and to me, emotion sparks inspiration. Which is a process, not to be rushed. The instant I hit the send button with the completed cover design attached to my client, I get butterflies. The waiting time is both exhilarating and nerve wracking, and once I see the client’s email waiting to be read in my inbox, that is pure torture. I hope I never stop experiencing these emotions, because it is really exciting. If I miss the mark or the author has some additional edits, I get right to work and implement the changes. If the author gives me a thumbs up well, then it’s completed! My process may not work for everyone, but it seems to be the right approach for my projects. It is my job as the designer, to create a cover that fits the story and help the author’s vision, become a reality. Having a sell-able cover will essentially determine the success of the book. So, I put a lot thought into each design to ensure that I do create a cover that is sell-able. I hope you found learning about my behind the scenes of my inner workings was helpful. I welcome comments and would love to hear what your experiences have been when working with a design professional for your cover project.